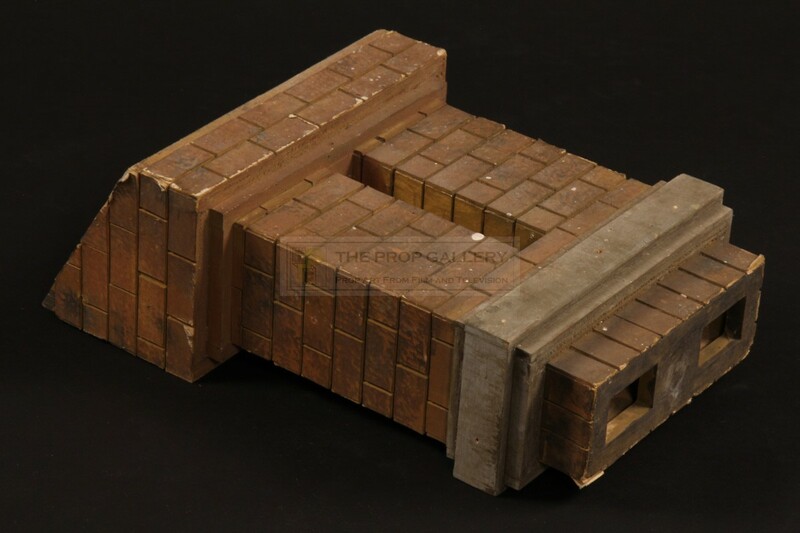 An original prop used in the production Labyrinth, the 1986 fantasy classic starring David Bowie under the direction of Jim Henson. 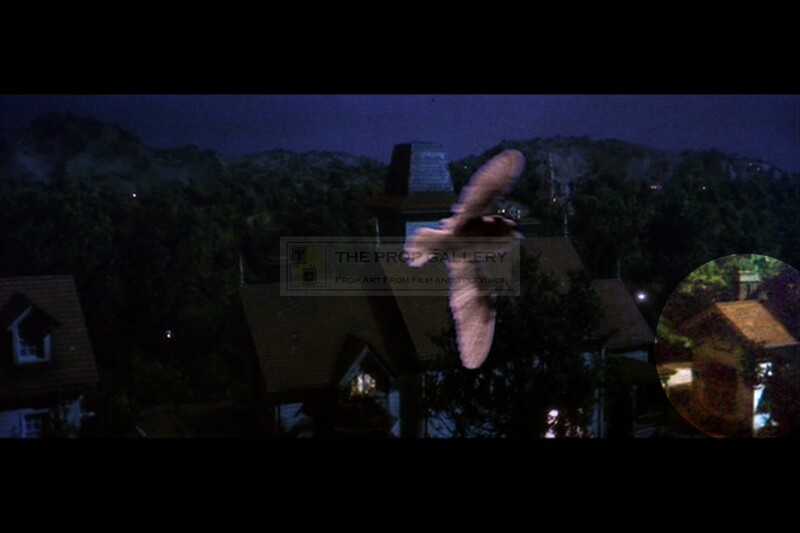 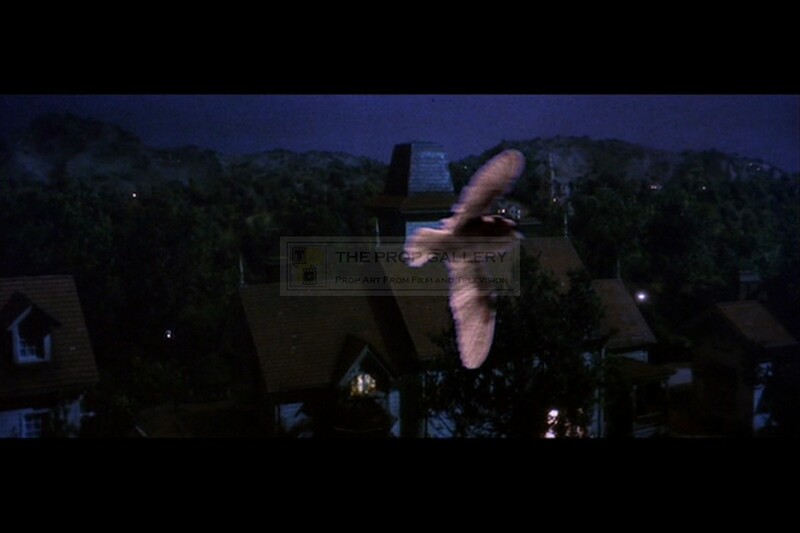 This is an original miniature used in the closing shot of the movie as we see Jareth (David Bowie) in his owl form flying away from Sarah's (Jennifer Connelly) house. 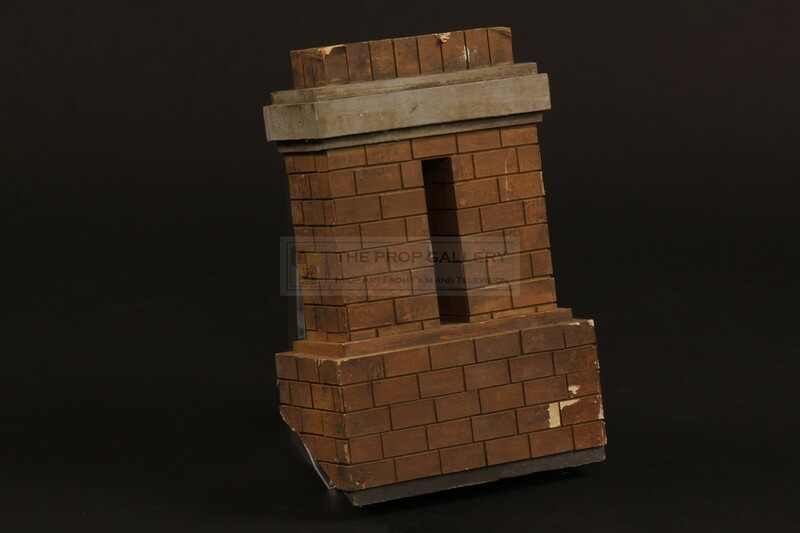 For this shot a miniature set was built by the model unit and this chimney features on top of the house to the right of Sarah's. 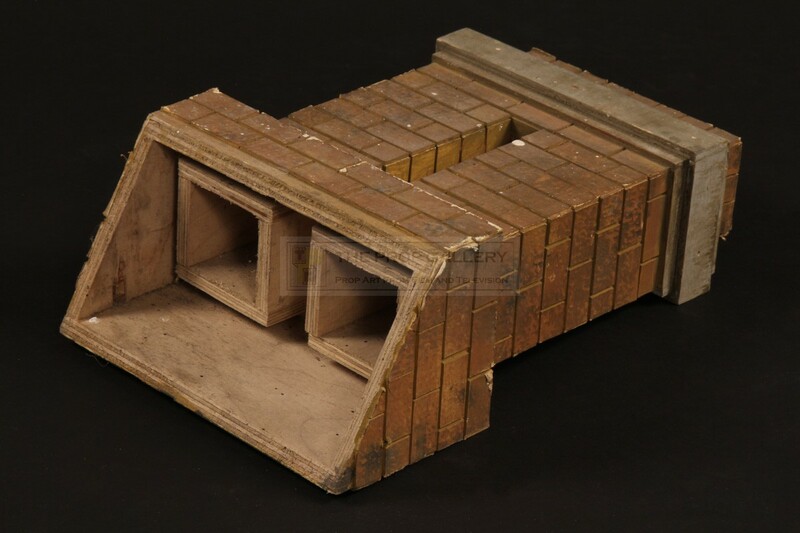 Constructed from plywood this highly detailed hand made miniature is finished with individual bricks which are cut from cardboard and hand painted with a weathered finish tp provide a realistic appearance. 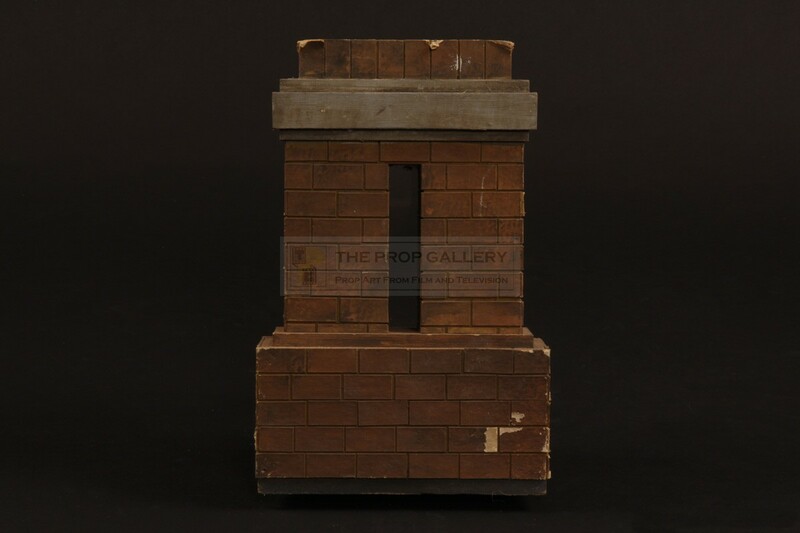 The miniature measures approximately 9.5" x 6" x 3" at its largest points and remains in excellent production used condition with some light edge and paint wear, very fine. 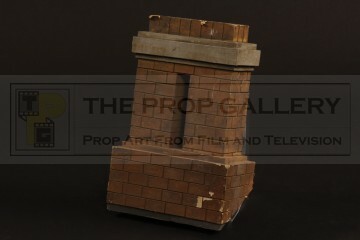 A displayable miniature artefact from this cult fantasy classic.